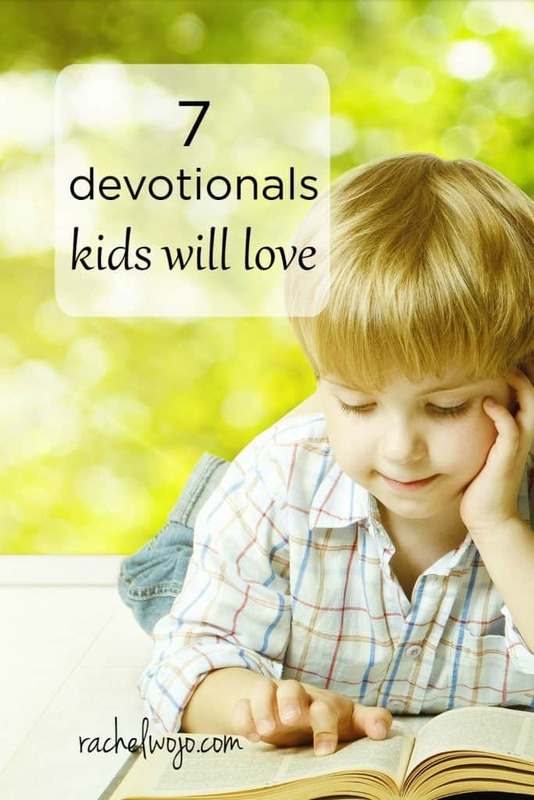 After reviewing the Shine Your Light Devotional last week, I thought it would be cool to have a list of devotionals kids will love and share it with you. To encourage my children to have their own individual quiet times, I’ve found devotionals really provide guidance and focus for talking and listening time with God. In no particular order, here are 7 devotionals my kids love. Enjoy! This beautiful devotional is bright and fun in color and content. My 9 yr old is reading it at bedtime and she often reads more than one because: “I’m learning a lot.” Grace is a beautiful concept for children to discover and this devotional contains a practical activity with each devo, as well as Scripture, for hands-on guidance. I love that this is truly a full year devotional and that alone teaches consistency in quiet time. Our family loves this devotional- this is our third year reading it through in the mornings. While I have to admit we’ve been a bit lax recently, I’m determined to get back on track with this morning reading. Such a great way to begin the day! We typically look up the verses on the Bible app and take turns reading it from there. Another FAVORITE- especially since it is a full 365 devotional. I personally think my name for this devotional is much better than the actual title. I call it the “Big Whopper” Devo. :)This book contains more than 200 Bible stories and 50 devotionals. Jam packed full of Bible goodness, I love this devo and so do the kiddos. The illustrations in this book capture the attention of children because they are bold and bright. I think my favorite part of this book is the “Read and Share Together” section. The questions in this section really stimulate conversation between the kiddos and me. You can find the full review for this devotional here, but my girlie girl really loves this devotional. Pink, purple, and sparkle- what’s not to love? And I love that God’s Word is shining light into her life as she is learning to reflect it to others, gradually, day by day. If you have a singer in the family, this devotional is sure to be a winner! Two CD’s with 100 Bible songs accompany this sweet devotional. Singing God’s Word is an easy and wonderful way for children to begin memorizing. Each devotional includes Bible teaching, memory verses, prayer and devotional thoughts. This devotional is an excellent beginning resource to establish family devotions. What devotionals do you and your children read? I’d love to read about them in the comments below! Post contains affiliate links. Site may be compensated if purchase is made. My daughter loves to read. 🙂 For morning devotions we read a magazine called MORE. It is distributed by LifeWay. It has short daily devotions for 1st and 2nd graders. Even though Carol is in 6th grade she is only on a 2nd grade reading level. Mostly because of her Down Syndrome. Thanks for sharing Heather. Sounds like a great resource. Checking in with another week complete. YAY! Go Jody- been on a road trip today- blessings to you!!! We have used “Step Into the Bible” by Ruth Bell Graham at the dinner table and it’s been fun for my boys ages 4-9.
hmmm. Sounds like a neat devo! Thanks for sharing. Hi Rachel! Thanks for a great list! I stumbled over from Pinterest and I was wondering if you have any recommendations for how to start daily devotions with a two, three, and four-year old and if any of the books on this list would work? Thank you so much! Hi Susan! I think the beginner devotional would work well for your age range of children. Obviously, the 2 yr old won’t get quite as much, but I’ve found that my little one who is 2 now is much better about following along with sitting and listening because she sees the pattern of the older kids doing it. 🙂 I have a post coming up next month on The Better Mom about establishing a bedtime routine- so if you feel that bedtime is a good wind-down time to do devotionals, when my kids were more the age ranges of yours, that’s when we did them. I think choosing the time that works well for your little ones schedule is the important thing. Maybe for you that is right before naptime? If they are not accustomed to listening, start small and work your way up by a minute or two over the course of a few weeks. I hope this helps!! Blessings to you for your commitment to the Lord and your family. 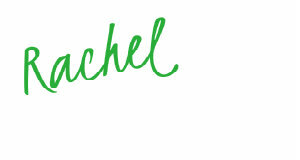 Thank you Rachel! Bedtime is sometimes stressful for us but that’s probably when we need to hear a devotional the most! I am headed to our Christian bookstore later this week to pick up supplies for our church’s Easter celebration and will be sure to look through the titles you suggested. Thank you again! oohhh. My favorite for teens is the Jesus Calling designed for teens: http://www.thomasnelson.com/jesus-calling-teen-edition.html Hope this helps you! We use Keys for Kids and we also have the 365 Day Veggie Tales. Keys for Kids it great! My daughter always wants to read more. We got a year free and my daughter is begging for more. I have a 2yr old & we recently stumbled upon Roma Downey’s Little Angels Bible Storybook. Love, love, love it! The stories are short enough to keep her attention & it has several extras. Includes an “I learned that..” section , an “I can” section to help them put the passage to use, a prayer & bible verse. I highly recommend! These sound wonderful but I was wondering if there were any good free devotionals as we cannot purchase any. I have checked our library and brought one home today to check out. awesome! The library is a great idea AND here is a link I sent to someone else this week: http://www.cbhministries.org/ I believe you can get free devotionals for a year… let me know if it works for you! Blessings.